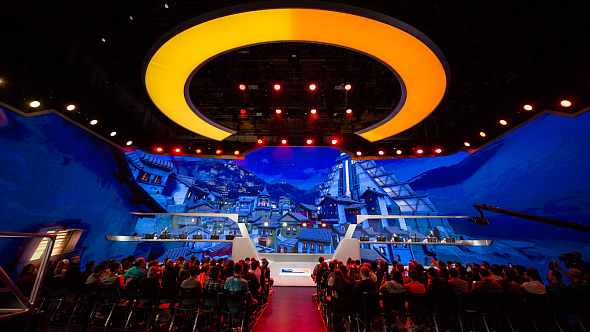 After more than a year of hype since its announcement in November 2016, the inaugural season of the Overwatch League is almost upon us, and day one – which sees the San Francisco Shock take on the Los Angeles Valiant – is officially sold out. Get up to speed on the Overwatch League with our briefing, covering teams, structure, scheduling, and more. The news came last night via the Overwatch League Twitter account, and lots of excitable fans (like Duk) are already declaring “THATS INSANEEEE” and predicting wins for their favourite team. It’s just like a traditional sport. It's official! Day 1 of the #OWL2018 Inaugural Season is SOLD OUT! It’s heartening to see, but this Reddit threadmakes a number of good points about why it’s less impressive than it sounds: “With the size of the arenas I’d be extremely worried if they didn’t sell out,” says the top reply, while another mentions ticket prices. The arena for the inaugural season is Blizzard Arena Los Angeles, which has a capacity of just 450. Tickets are also quite affordable at $20 each. So this news has to be taken in a certain context, but hey, it’s pretty exciting nonetheless. Maybe not “INSANEEEE,” though.